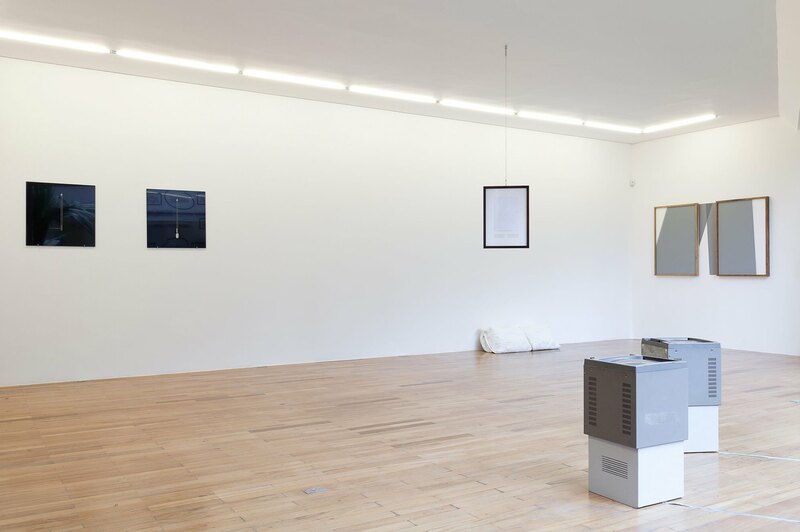 Responding to an ever-greater demand for the transparency of information, Repeat To Fade examines the act of looking in relation to how clarity can be visually conveyed. Used as a musical direction in sheet music, ‘repeat to fade’ instructs the player to play the same musical segment repeatedly whilst dimming the volume, until the song fades to silence. 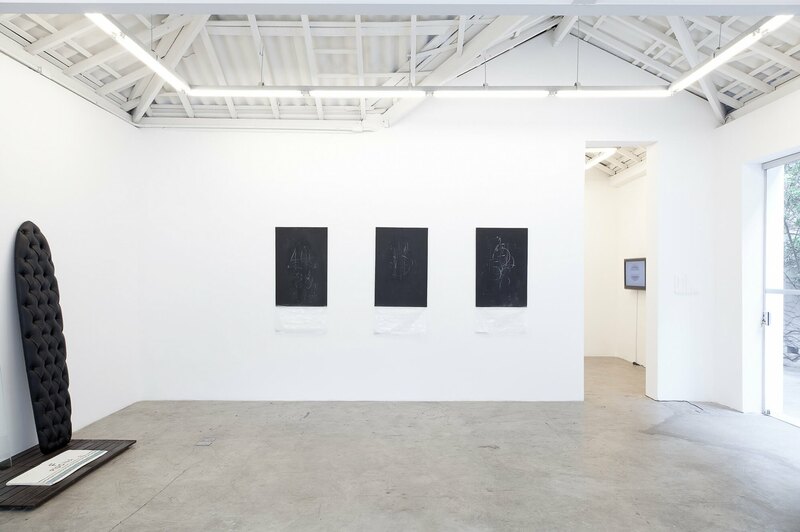 Regarding a build up of obscurity and the subsequent need for elucidation, artists from Brazil, India, Europe and the United States address the intangibility of image and object in an increasingly digital age. 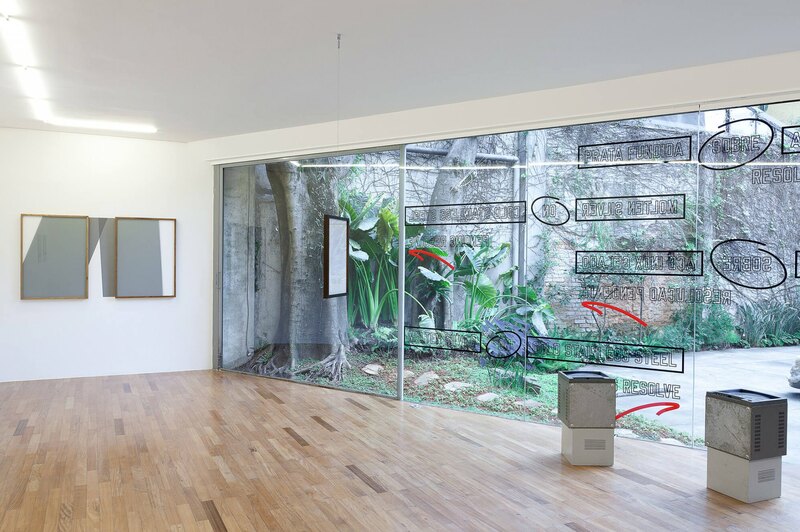 Works of installation, sculpture, painting, video and collage reflect the multiple means through which visual information is encountered and how it can be framed to serve a particular motive or audience. Departing from the rapidity with which content is currently shared, reproduced and disseminated, viewers are invited to focus their attention and to consider the likelihood that not everything has been revealed. With each work utilizing different modes of production in questioning what is virtual and what is actual, modes of visibility are tested so as to reassert issues of subjectivity and evanescence. Slowing down the viewer’s gaze is one of the key objectives Maaike Schoorel sets out to achieve in her paintings. 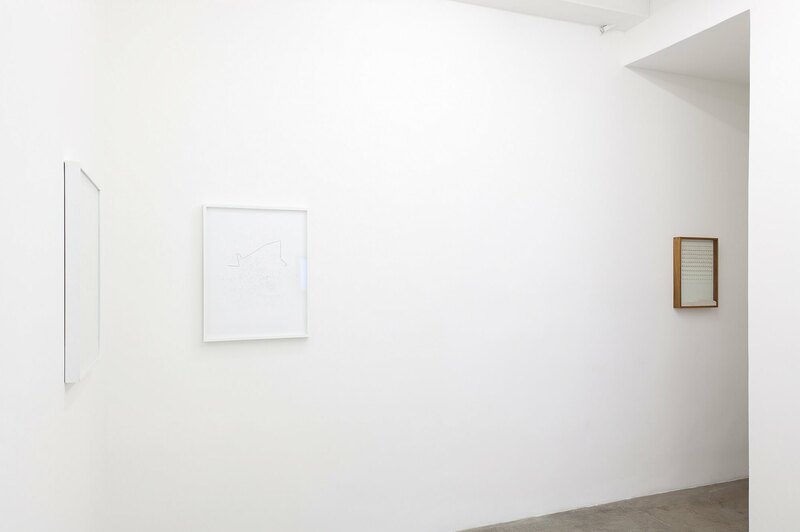 Providing an intensified space of perception, her seemingly monochromatic canvases bear a wealth of visual information that can only be deciphered with time and consideration. Through sculptures at once delicate and substantial, Valeska Soares explores the time-based sensations of nostalgia and longing. 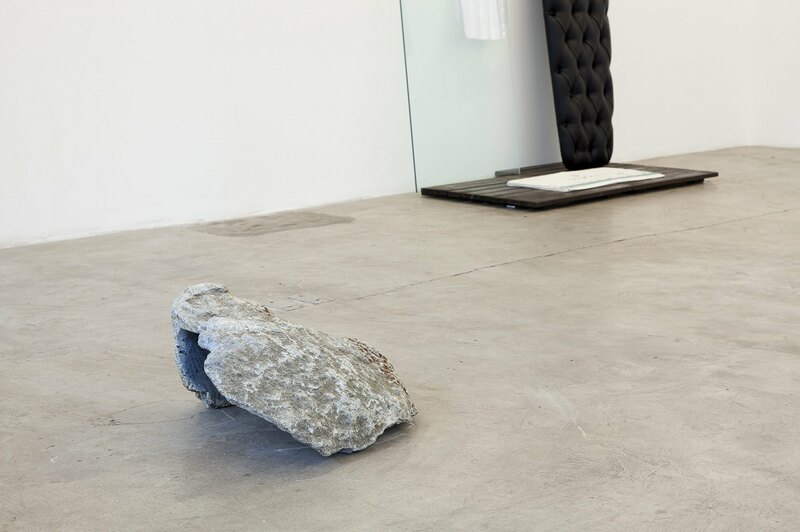 Drawing from the complexities of interpersonal relationships, Et Apres (Pillows) (2012) is both fragile and heavy, reflective of how latent meanings can be derived from absence. 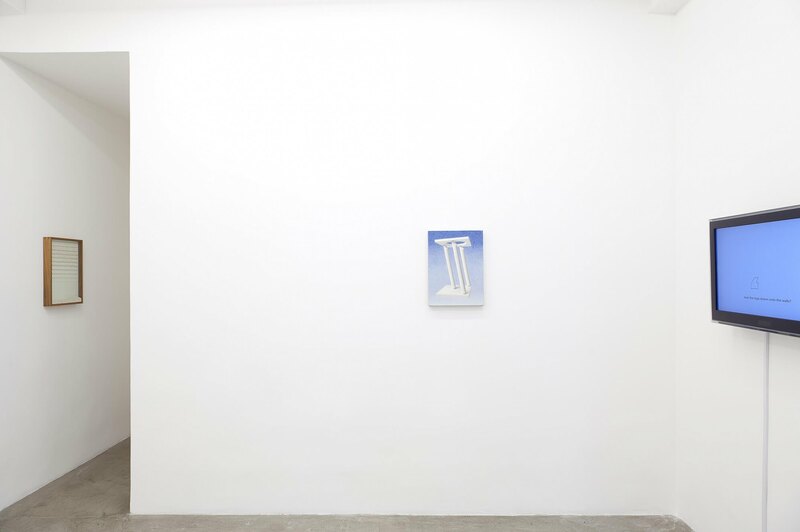 Shifting between classical concerns of space, volume and illusion, Daniel Sinsel’s small handcrafted paintings and sculptures combine art history with personal sentiment. 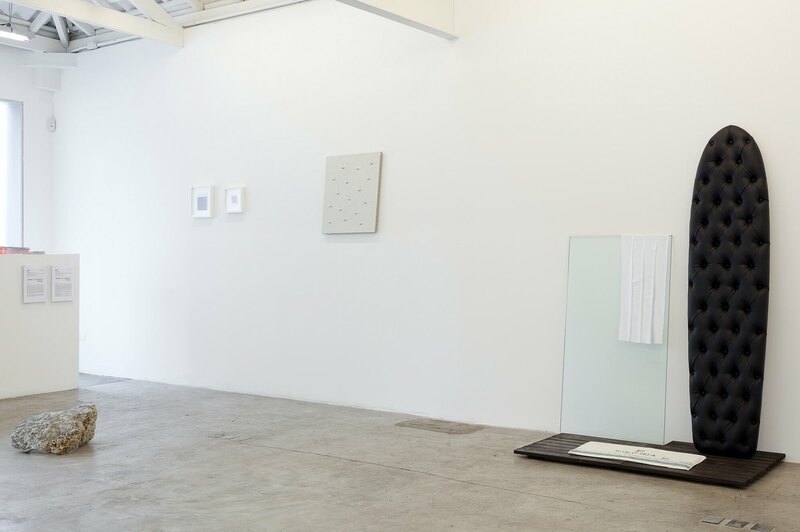 Considering how the two-dimensional plane might be unfolded into a three-dimensional work, motifs such as the window, the grid and the column appear repeatedly in exploring the changing status of the art object. References to medieval and early Renaissance tapestry proliferate in Adriano Costa’s investigation of the relationship between historicity and materiality. Querying the relationship between urban identity and locality, beauty and vulgarity are revealed alongside one another, as found objects appear transformed. A key innovator within Conceptual Art, Lawrence Weiner is recognized for challenging preconceptions of the art-object through revising means of distribution and display. 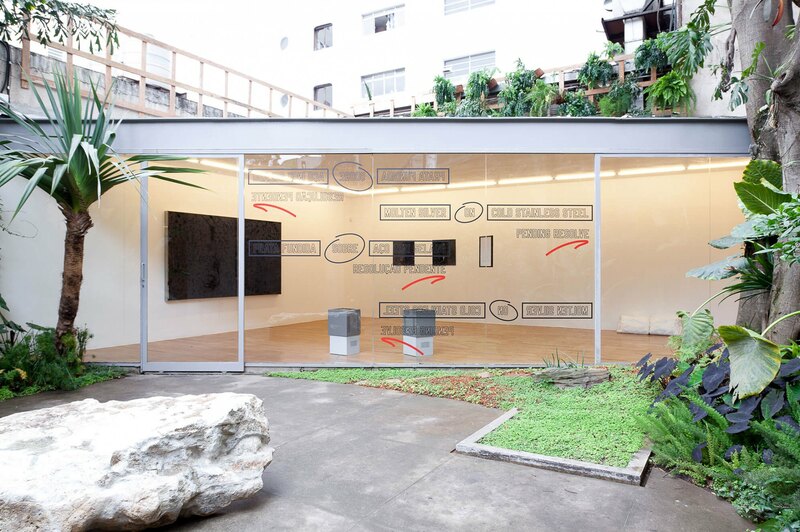 Presenting a text-based installation translated into Portuguese, Weiner considers how language can be read as either descriptive or non-relational with regard to its potential as an art-form. Making use of both spoken and written language in her work, viewer participation is key for interdisciplinary artist Shilpa Gupta in considering how interpretations differ depending on the individual’s background and identity. Focusing on cultural separation and commonality, Gupta’s series Untitled (2009) builds on the complexities of incomprehensibility. Producing work that is both interdisciplinary and participatory, Paulo Nazareth addresses issues of race and socioeconomic inequality through artistic gesture. Combining concerns of injustice with the absurd, Nazareth’s playful approach disrupts overarching categorization, detracting from the use of generic labels. Taking the faltered ideology of The American Dream as a departure point, Matthew Day Jackson examines the interdependency of personal and collective myths. Departing from popular imagery made obscure and unidentifiable, Dark Side (2012) continues with the artist’s investigation into the relationship between demystification and the advancement of technology. 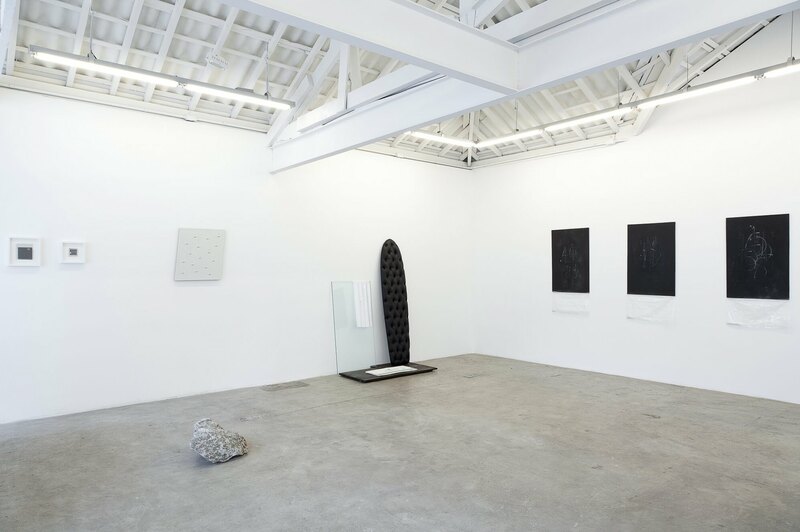 Imbued with scientific, literary and historical references, Roberto Winter’s works of sculpture, video and installation question accepted knowledge through experimentation. 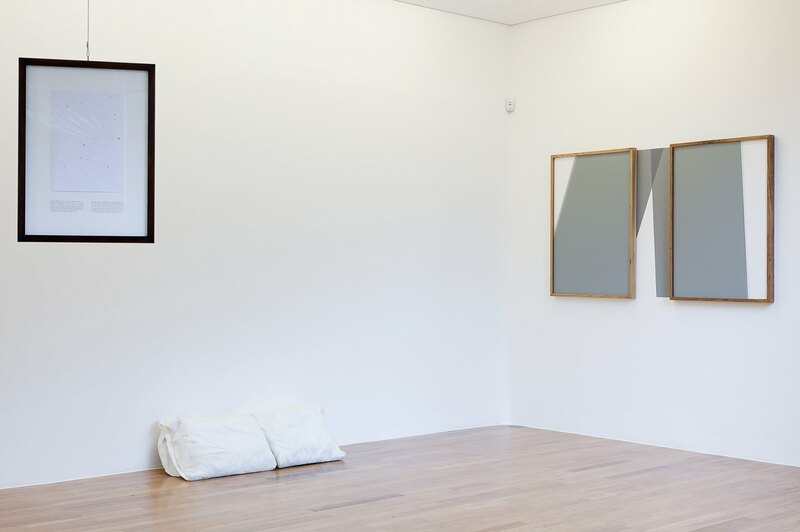 Considering the implications of reproduction, Oedipus and Felix Dadaev’s bust with mirror (both 2012) can be seen to challenge accepted systems of thought. 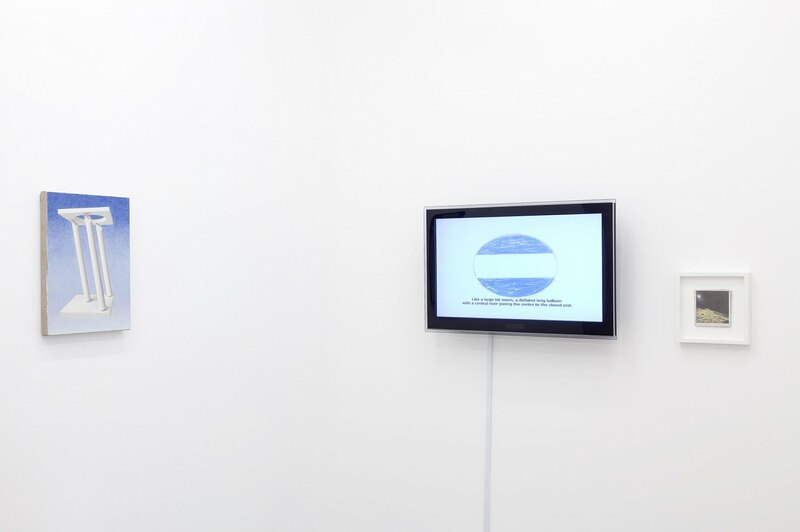 Through the use of coded language Detanico Lain, a collaboration between Angela Detanico and Raphael Lain, question whether Modernist ideologies of purity and clarity have withstood the cultural conditions of globalization. Departing from processes that utilize modularity and typography, the artists consider the displacement of meaning in an increasingly digital age. 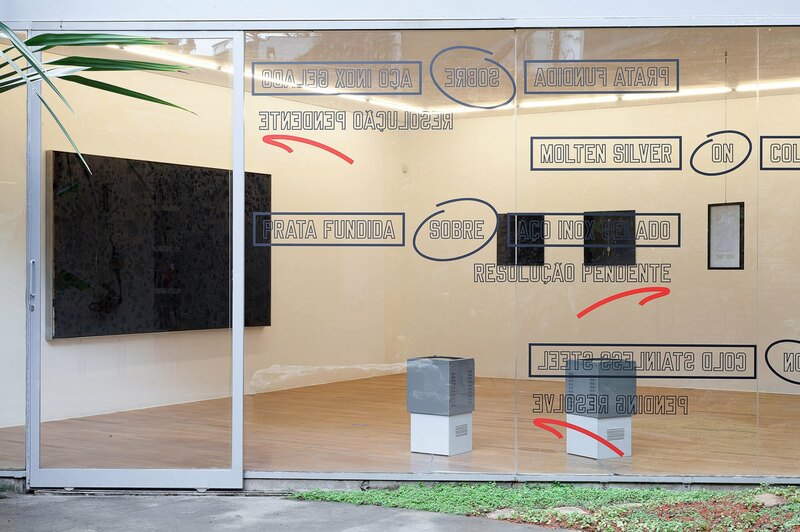 Fiete Stolte lives in his own time-capsule: a day comprises of 21 hours and a week of 8 days, providing a starting point for the ontological questioning that runs throughout his works of video, photography, sculpture and installation. Employing several modes of investigation that tie into the idea of lost or hidden information, Stolte addresses how we might visualize time through using light, physical imprints or objects that show signs of use. Similarly Theo Craveiro explores the relationship between life and art by highlighting the complexities of daily conduct. Typically presenting a range of images, actions and objects that are altered over time, Craveiro’s sculpture reveals the significance of context, subverting materiality through play with volume and space. Investigating fictional and imaginative readings, Jesse Ash examines confirmed explanations of events and how they alter from being conveyed repeatedly through several types of media. Identifying values of looking and understanding in relation to political message and rumor, Ash’s collages and video unfold otherwise concealed content. 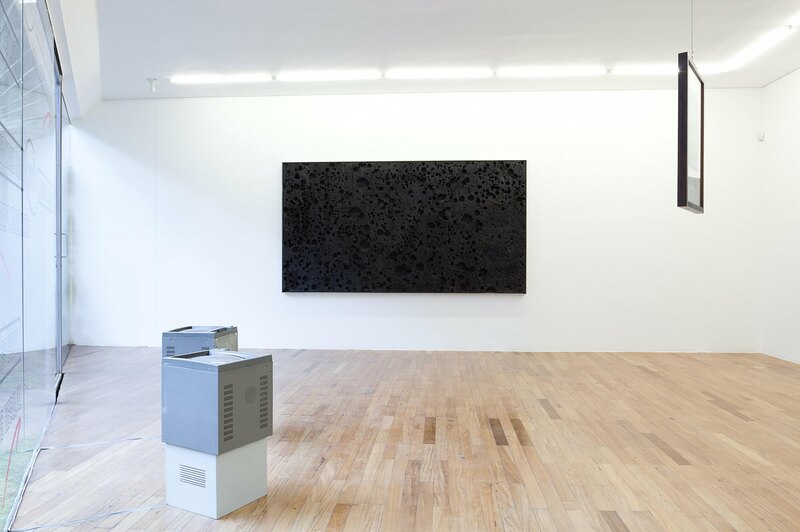 Through the presentation of constellations of found objects and images, Deyson Gilbert questions the potential for an aesthetic of resistance in addressing hidden structures. 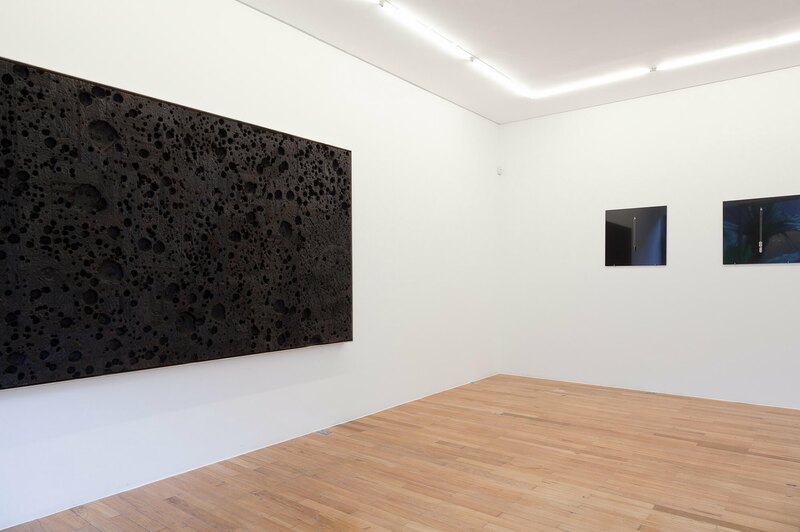 Departing from the mythical twins Castor and Pollux – who can never be in the same place at one time – object A: the shot/object B: the echo (2012) prompts questions of materiality through alternating the physical and virtual presence of objects. Focused on geometric and spatial relationships, Marcius Galan’s sculptures and paintings address the demarcation of territories and borders. For Repeat To Fade Galan continues transforming the mundane into the strange, catalyzing a reconsideration of function and meaning. 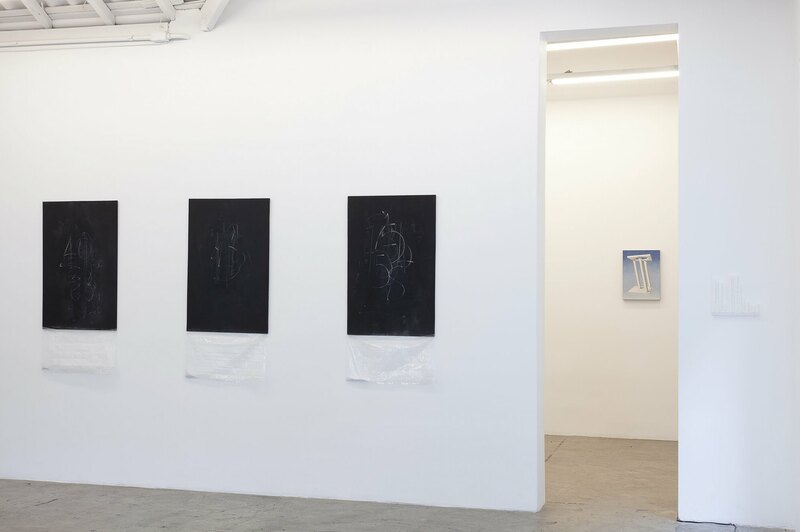 Presenting personal accounts alongside collective histories, artists in Repeat to Fade consider how visual material can be deliberately withheld, or recede from view over time. Just as a musical phrase is repeated to fade, artists address how information is shared and copied until its original source becomes indistinct. With the possibility of fading out ever present, disappearance shown in flux as conflicting representations of fragility and sustainability questions that which remains invisible.